At Four Seasons Pool Service, we view ourselves as an investment for your swimming pool. Proper swimming pool care provides precious family enjoyment and can extend the life of your swimming pool. Four Seasons Pool Service was founded by Eric Pierson in January of 2006. After working in the industry Eric decided to start Four Seasons Pool Service from the ground up. His strength was his ability to adapt modern technology that allowed him to streamline office work and focus more on customer satisfaction. Four Seasons Pool Service is now known for their outstanding customer service and has managed to grow despite a down economy- Eric believes this is because he saves his customers money by maintaining a healthy pool all year long, avoiding costly expenses that come with neglect and improper pool care. Four Seasons Pool Service is a refreshing new approach to swimming pool service and repair. Our goal is to continue growing by trying to raise the bar higher for not only ourselves but also the industry. We understand that in order to grow we need to view ourselves as partners with our customers, our employees, our community and our environment. Dependable. 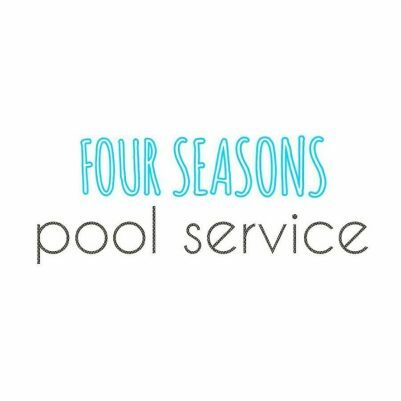 When you schedule an appointment with Four Seasons Pool Service we will be there at the scheduled time. Reliability. Thorough chemical testing and log cards means no more guessing if your pool is being serviced properly. Customer service. We take pride in customer satisfaction, which means you will be treated with the respect you deserve. Professional staff. Careful consideration goes into hiring our employees. Our technicians are clean, professional and thoroughly trained. Responsive. We respond to voicemail, email, text message, letters and telegrams as soon as we get them. Piece of mind. Rest assured knowing your pool is being cared for. Any problems that come up will be address and brought to your attention.